From time to time we used this book last year in NyGirl’s second grade. I can honestly say that I wish more readers were as pleasant for young children as these beautiful “classics”, as I like to call them. This BJU Press Reader is full of stories which remind me of the wholesome readers I kept lying around my room as a once third-grader bookworm. They are Christian-based, deliver wholesome content, and promote purity and godly character in young children. Can you blame me for liking this little book? …that is, until NyGirl decided to take off with the book and read all of the stories on her own. I did, however, receive the pleasure of reading some of them out loud to her. Book 3B is divided into 3 content sections. Each section focuses on a particular topic, such as “A New Land” (covering stories on the beginnings of America), “Creatures Great and Small” (covers stories about animals) and “Treasures” (a collection of wonderful stories about missionaries, God’s provision, and other beautiful stories). There are about 10-14 stories underneath each category topic, so you’ll be guaranteed (if you pace it out, unlike us!) a school year of wholesome little short stories to introduce to your younger children. 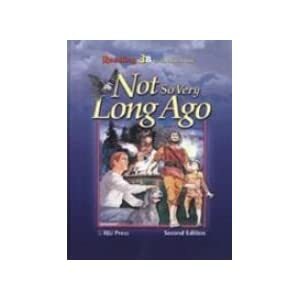 As I don’t have older children, I have not seen the books for upper grades (5a-6b) so I cannot adequately describe these and how they work…but if they are anything like the lower grade books, you couldn’t grow with content- especially if you are a Christian parent looking for pure stories which strengthen godly character in your children.